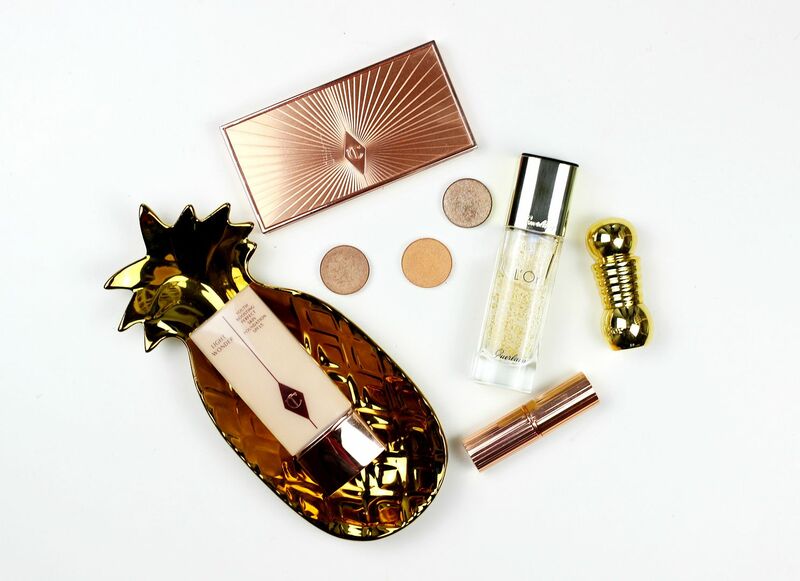 March’s Beauty Mix: going for gold. I’m just here, channeling my inner goldmember, and embracing the golden glow right now. It’s getting lighter, Spring is basically here and I’m freshening up my makeup in preparation. OK, brace yourselves because I’ve been wearing a slightly lighter base. I know! I know. I can’t get enough of the Guerlain primer (post on that here), because it hydrates my skin so much, creates a smooth base and keeps everything all plump and glowing. Literally obsessed. On top of that, the Charlotte Tilbury light wonder foundation is gorgeous. I normally wear the magic foundation, which has a lot more coverage, but my skin has been OK lately and I just love the finish of this one. It just feels nice and fresh for spring, and especially now it’s lighter I don’t want to wear as heavy a base. Maybe I’ll try the new NARS one next? Eyeshadow wise, can you ever go wrong with gold shadow? No, didn’t think so. I’m loving Makeup Geek Pretentious at the moment, as well as old faithfuls from MAC – woodwinked and tempting. When in doubt, go for gold. What makeup are you enjoying at the moment? If you liked this post you might like this post on new from Sleek or this post on makeup geek Grandstand. Five Spring scents to spritz. Gimmick or great: Origins Maskimizer.